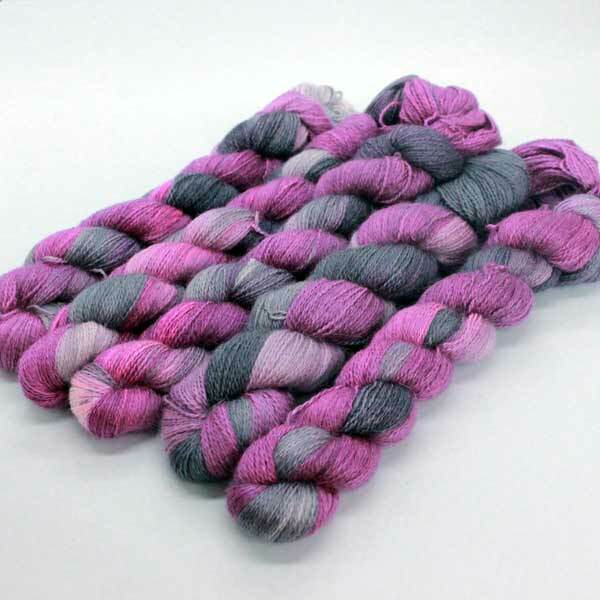 Angelo Lace is one of our new luxury yarns, a hand-dyed 2 ply lace weight yarn. Made from baby alpaca, silk and cashmere. 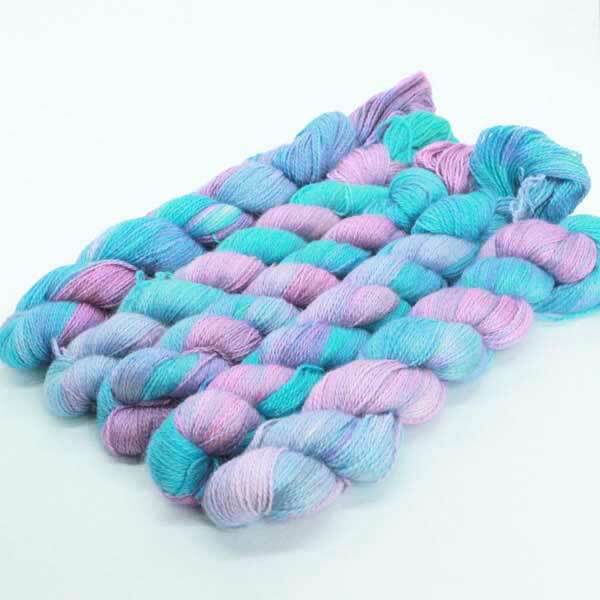 It is extremely soft and very long – around 600m per 50g so one skein is enough for most projects. 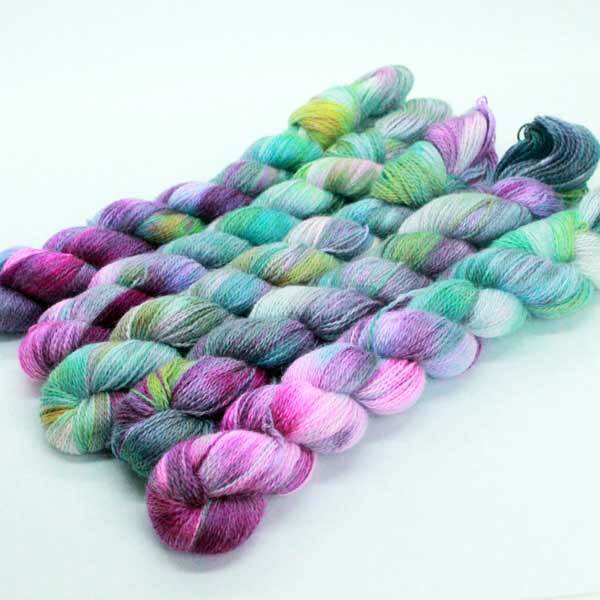 Angelo Lace is hand dyed by exclusively for us by For the Love of Yarn in 8 exciting colour-ways. 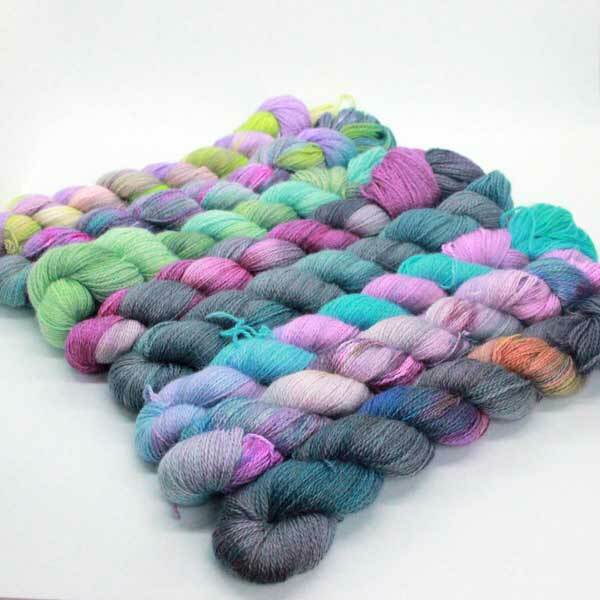 I have been working closely with Lisa to create a stunning palate that works across all our new range of yarns. 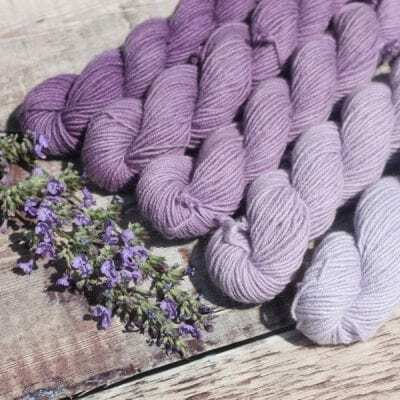 The colour-ways are also available in Leggero 4ply and Altopiano Hand-Dyed – although they can look very different on the different yarns bases. 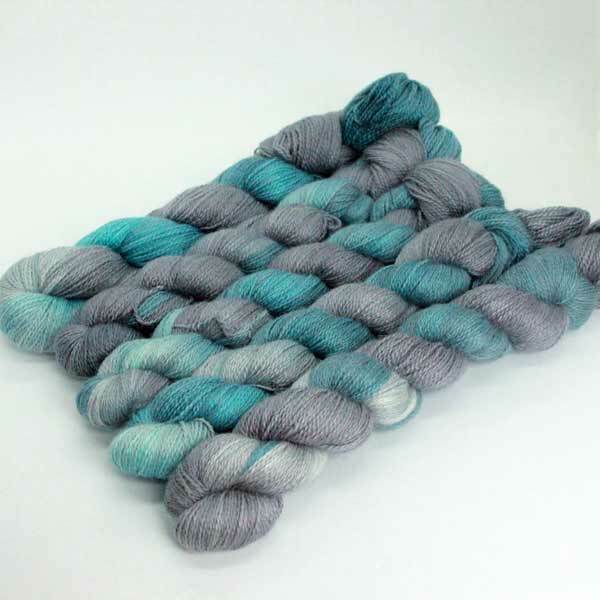 Because of the nature of hand-dyed yarn – no two skeins are ever the same, and batches can look completely different. I will keep the photographs up to date, but your order may differ slightly from the images shown. 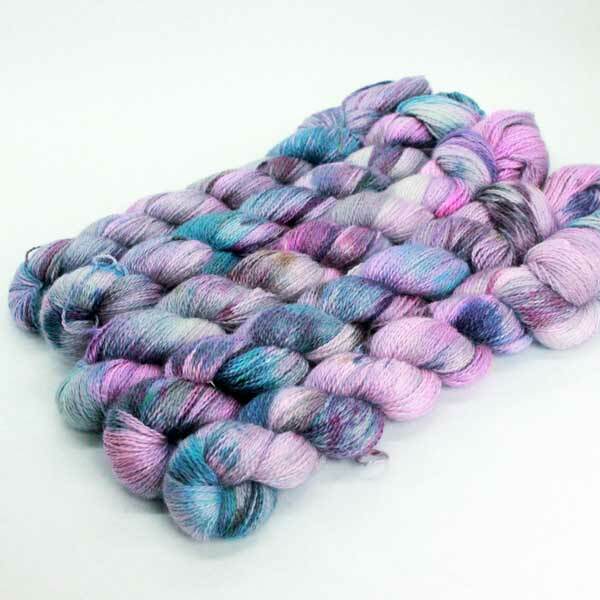 Due to the process of hand dyeing yarn, some residual dye may remain. This is perfectly normal and mostly effects blues and red dyes due to their manufacturing process. 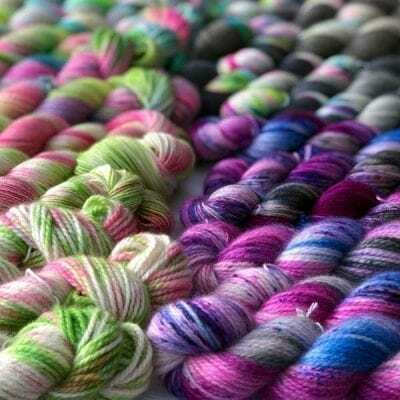 We do however suggest washing all garments before they are worn to prevent colour transference. 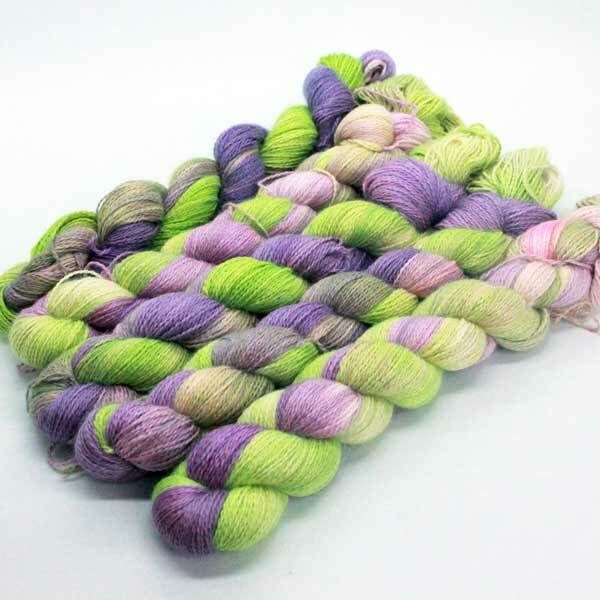 In the case of particularly bright colours, soaking the finished item in a salt and vinegar solution will help fix colours prior to washing. For more information you can see our blog post.